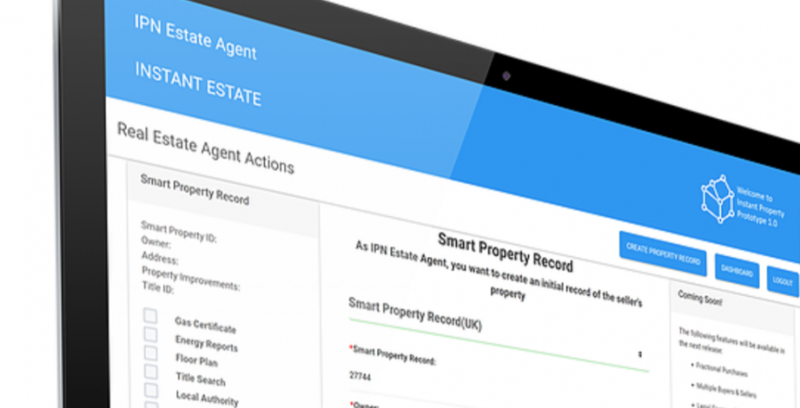 Ashurst, Baker McKenzie, Barclays, Clifford Chance, Search Acumen, AXA XL, Even, Royal Bank of Scotland, Raiffeisen Bank International and SwissRe were among 40 organisations collaborating to test the ledger-based property marketplace. The trial was set up and completed by Instant Property Network in partnership with enterprise blockchain firm R3. The pair ran end-to-end transactions through a distributed ledger and simulated property sales over a five-day period. During the trial, the organisations demonstrated how duplications and costly reconciliation processes could be removed from the buy/sell process, with the first transaction taking less than an hour to complete. As a result, it is estimated that, with the addition of off ledger business process and consumer decisions, the end to end buy/sell process could be reduced from over three months to less than three weeks. If these efficiencies were applied to the global property market it could equate to an annual saving of approximately $160bn. Land registration: reduce cost of confirming and validating requests to change the register. Increase the speed of register updates with reduced risk of fraud. IPN has worked with HM Land Registry’s Digital Street project, where it beat a number of large corporations to win a major R&D project to use distributed ledger technology to explore connecting a central land registry with businesses. IPN is now onboarding dozens more private and public sector organisations to the next phase of the project and aims to release the next version of the platform in September 2019. Matt Taylor, head of UK proptech at law firm Clifford Chance, said: “At Clifford Chance, we know that clients and stakeholders in the real estate industry want more collaboration and greater connectivity. “The future of the industry is for all to operate across a common platform, and benefit from significant gains to efficiency and transparency. Instant Property Network not only offers the upsides of high connectivity with transaction participants, it also maintains tight control of data that is shared on the platform – a strong proposition in the industry”. IPN started as a thinktank in 2017 and now has partner offices in New York, Singapore, Pune and Mumbai, working with its London headquarters. Last year, IPN became an expert advisor to the UK Government Blockchain All Party Parliamentary Group.